Nestled on a hillside, surrounded by forest and mountains, Your Home in the Woods Bed & Breakfast is a wonderfully relaxing getaway place near Blairsville in North Georgia. Nearby you may enjoy many activities — hiking, boating, swimming, biking, waterfalls, golf, shopping, horseback riding, restaurants, train rides, and seasonal festivals. 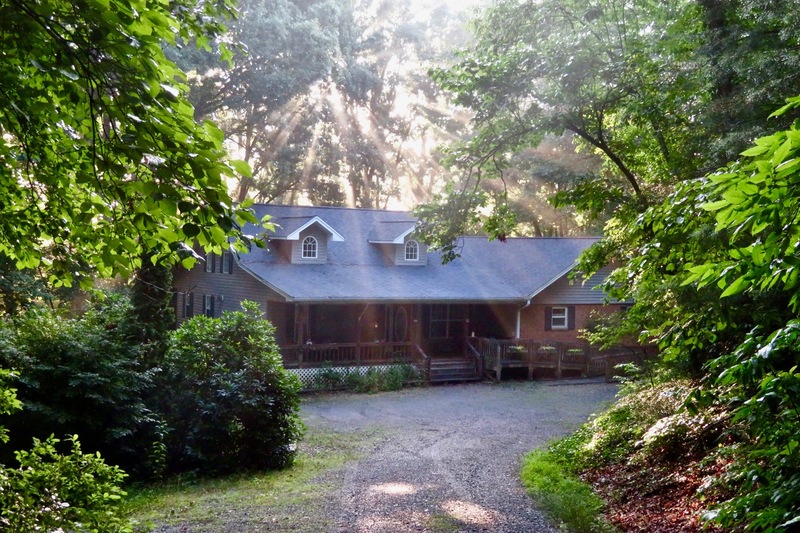 You may just wish to enjoy the privacy of strolling through our five acres of woods, reading in our comfortable living room, or just rocking in your chair on our screened in porch watching the birds feed and the trees sway in the breeze. All three bedrooms have private baths. We serve a delicious hearty homemade breakfast every morning outside on our porch or inside our lovely dining room. The main floor is completely available for guests. We have secure wi-fi, but no cable or TV. Well behaved children are welcome. We do not have accommodations for pets, but there are kennels in the area. Our home is handicapped accessible with a wheelchair ramp, wide doorways, and easy access to all guest areas. Make our home Your Home in the Woods.